The townhomes at Dawson Square have two floor-plan options with either 2,048 or 2,097 square feet of living space. During "The Choice is Yours” sales event, homebuyers in September will be given $20,000 to use on rate buy-downs, rate locks, closing costs, design selections or options, or any other costs. 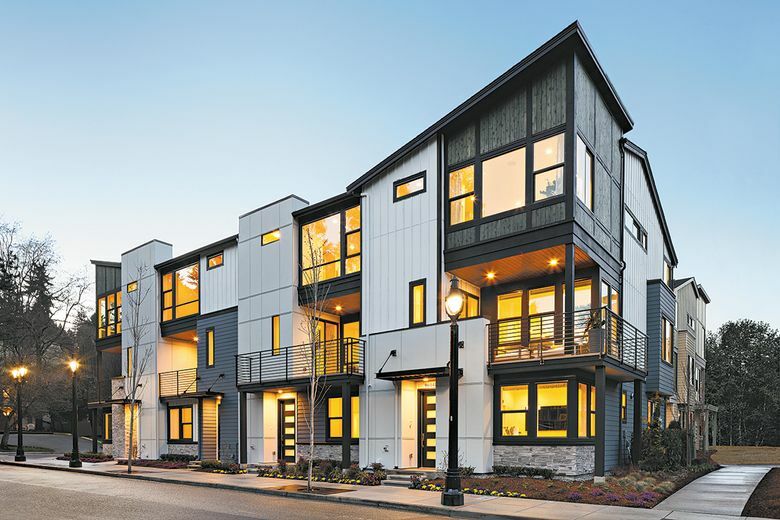 BOTHELL — Now in its final selling stage, Dawson Square has eight remaining luxury townhomes, two of which are complete and ready for immediate move-in. This weekend kicks off “The Choice is Yours,” a sales event offering limited-time incentives. Homebuyers in September will be given $20,000 to use as they wish, including rate buy-downs, rate locks, closing costs, and design selections or options. Dawson Square is located next to the Bothell Library and blocks from the riverfront Park at Bothell Landing, quaint Main Street shops and the McMenamin’s restaurants, theatre, hotel and pool. 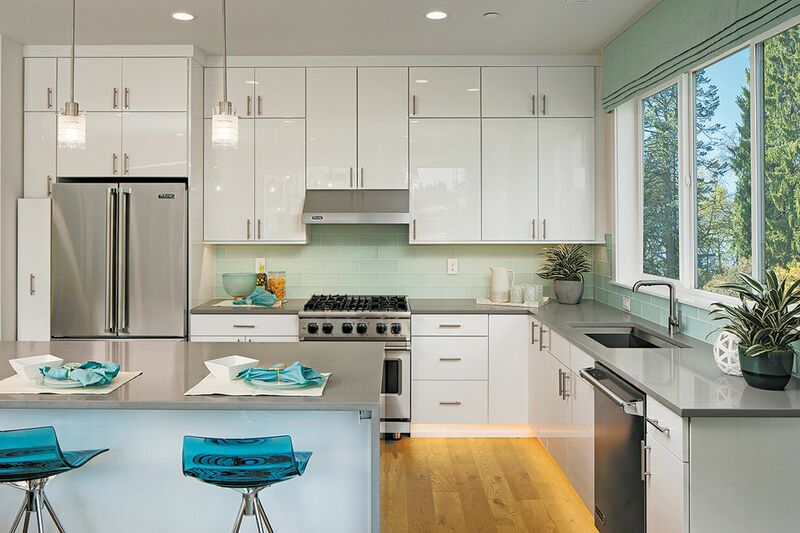 Homebuyers at Dawson Square can work with professional designers to personalize the details of their interiors, including countertops, lighting and hardware. Dawson Square is also within 2 miles of the University of Washington Bothell campus and close to 42 miles of walking trails within the Sammamish River and Burke-Gilman trail systems. Townhomes at Dawson Square feature unique Northwest-contemporary architecture, with either 2,048 or 2,097 square feet of living space. The homes have four bedrooms, 3.5 bathrooms and two-car garages. Oversize floor-to-ceiling windows let in abundant light, particularly in the open great room. “The light-filled great room is really spectacular. Homebuyers can get a sense of its expansiveness when they come to tour our model home, which I highly encourage,” says Summers. All of the townhomes have generous covered decks, some of which overlook a park setting. Additional home highlights include ground-floor bedrooms that can function as home offices, large master suites with walk-in closets, and a maintenance-free yards. He says some of the remaining homes are presale, which enables extensive personalization. 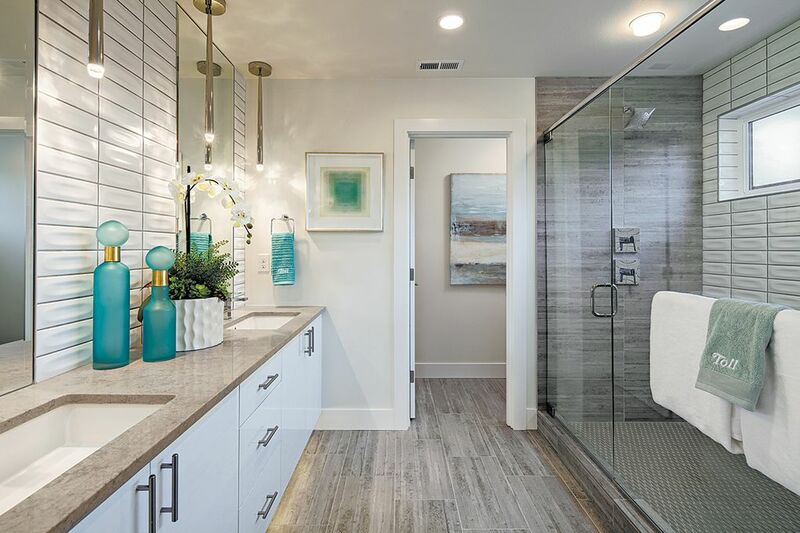 Homebuyers can work with a professional designer at the Kirkland Design Studio to select from thousands of options, including paint colors, tilework, countertops, lighting and hardware.